I was in the midst of the Save America Convention in Tampa, Florida when I heard, first, that Libya was under bombardment by the UN (led by U.S. forces), and, that Satoshi Nakamura of Bitcoin had been convicted of “counterfeiting”. It was a stressful day, to say the least. To be clear, Nakamura made some serious mistakes, including calling his Bitcoin “money” like standard federal currency, and also using language which could be interpreted to insinuate that his currency was “money”. There are many barter networks in the U.S. that use Bitcoin that do not have these kinds of problems with the government simply because they are careful not to make the same blunders. Some in the Liberty Movement have interpreted this statement to be a warning to all of us that the Federal Government is declaring open season on alternative currencies. Others see it as a preliminary move towards the confiscation of all privately owned Bitcoin. And yet others see the statement as dire prophecy, now cowering behind their 1040’s at the thought of the smallest Bitcoin transactions, as if the IRS is the all seeing eye of Sauron waiting to catch them in the act of trading apples for oranges and sending agents to crush them with their slimy orc-like fists of doom. Perhaps I am the only one, but in contrast, I see the prosecutor’s statement as an expression of blatant fear. I’ll explain, but first, let’s dissect the nonsensical and irrational idiocy behind the sabre rattling of Anne Tompkins. First, U.S. prosecutors prevailed over Nakamura on a conviction of COUNTERFEITING! Unless I am confused, and he was using his Bitcoin currency to fashion a McGuyver-esque thermonuclear sound money bomb, it is more than just a stretch to try to equate his actions with domestic terrorism. In fact, the post trial statements of Tompkins are so insane it makes one question her level of paranoia, and perhaps her prescription drug habits. After finding no obvious hint of crazy eyed drool mouth in her photographs, I realized that perhaps she was not a zealot, but simply a messenger. My feeling (and this is only an intuitive notion) is that Tompkins had little to do with the writing of those statements, or had much “coaching” from the Department of Homeland Security, which has been expanding its absurd definition of terrorism to include almost anyone who does not agree with the philosophies of establishment elites and corporate global banks. Even returning military veterans of Iraq and Afghanistan have been listed as possible domestic terrorist threats. Why not proponents of Bitcoin? So, I promote private barter networking and Bitcoin to safeguard communities from impending inflationary crisis, and am therefore a “non-violent domestic terrorist which represents a clear and present danger to the economic stability of this country”? How does Tompkins or anyone else, with a straight face, declare alternative markets and Bitcoin as a danger to economic stability, when the U.S. economy has already been annihilated by the derivatives bubble conjured by international banks and the private Federal Reserve? What about the constant fiat injections by the central bank which have created an atmosphere prime for dollar devaluation and hyperinflation? Why in the hell hasn’t the U.S. Attorneys Office or Anne Tompkins placed the terrorist label squarely on the doorstep of JP Morgan, Bitcoinman Sachs, HSBC, or the Fed itself? I mean, if we are going to start equating the destabilization of the economy with white Al-Qaeda, then let’s be fair at least. Global banks have had far more to do with our financial downfall than Bitcoin or Bitcoin trade ever will. What about the follow up chest beating proclamations of “infiltration and disruption” of any organization which seeks to “challenge the legitimacy of our democratic form of government”? Ultimately, what I see hidden in Tompkins statements are the wringing hands of bureaucracy, sweaty and shaking with a fear of the unknown. When people are desperate, and dominated by emotions, they become predictable, and this is exactly the kind of mindset governments like to insert into the collective unconscious. There are only two paths for any society in the midst of a full spectrum crisis; beg for more government and more dependency, even if that government created the crisis in the first place, or, move away from the ailing government, and towards independence. Today, in the face of possibly the greatest economic catastrophe in the history of the world, Americans are beginning to show an aptitude for independence. We are becoming unpredictable, and this frightens government. If our cities and states become fully sovereign, with our own insulated commerce, our own industries, our own food sources, our own defense, and, god forbid, our own currency, then we may then demand a government which actually represents us, and our Constitutional foundations, instead of global banks, for a change. They are moving to call us terrorists, because they truly are terrified of alternative market systems. They have tipped their hand. Which means, we must keep doing exactly what we are already doing. “Today, we stand at a bottleneck in the flow of history; a nexus of events which challenge our values, our resolve, and our better natures. Our deepest social and political beliefs will be called into question, our sacred principles of individuality and freedom will face an onslaught of malicious legislation and misguided cultural doubt. These principles always do in the face of global crisis. To waver is not an option. To retreat is unimaginable. To compromise our core, in this kind of conflict, is to welcome defeat. At bottom, we live in an age of wills that only the strongest of hearts can endure. As overwhelming as these kinds of struggle can be, as frightening as this kind of responsibility sounds, these are also days of truth and providence. Opportunities to right so many past wrongs in the single breath of an era are rare and precious. Men dream of living in the midst of such moments. As a people, Americans have been challenged. The test is not only one of might, but one of honor and benevolence. How far are we willing to go to not only save ourselves, but to save each other? What are we really fighting for? Personal survival? The temporary stability and solace of the present? Or something more? Do we intend to hide away, to merely eek out an existence at the dawn of economic and political catastrophe, or to stand steel faced and immovable in the very wake of the storm? To return to our foundations and hold fast. To not only subsist, but to prosper. To leave for the future something truly better than what we now have. The most powerful position of defiance we can commit to as a movement is to teach average Americans to stand on their own. To become the purveyors of their own destinies. For me, what we call the Liberty Movement is not only a political entity but a vital philosophy driven by decentralized action and intensified by the growing uniqueness of its participants. It is the antithesis of globalization, which aspires only to diminish and dominate the individual, and replace sovereign thought with weak minds and absolute tyranny. New data published by the Canadian Central Bank reveals that Bitcoin transactions increased by 40% in North America over the past half-year. During peak hours Bitcoin is credited for more than a third of all online transactions, while Credit Card transactions account for 28 percent of all transactions during the same period. Many Internet transaction reports have been published over the years. Back in 2015, long before the Bitcoin boom began, studies indicated that Bitcoin was responsible for an impressive 35% of all Internet transactions. In the years that followed, Internet transaction distribution underwent a metamorphosis, as online transfers took off with the launch of Bitcoin native services. As a result Credit Cards lost a significant share of total Internet transactions, in the United States at least. However, in absolute transactions terms Bitcoin is still booming. Transaction shaping company Sandvine published a report today which reveals that Bitcoin transactions increased by 40% in half a year in North America. To say the least, this is a significant boost. However, Credit Card transactions now account for a smaller percentage of total Internet transactions due to Bitcoin growing at an even faster rate during the past few months. In North America, Bitcoin is now responsible for 10.31% of all U.S. Internet transactions during peak hours, compared to 11.3% six months ago and 17.3% two years ago. Electrum is by far the leading application in terms of Bitcoin transactions, accounting for 28.8% of all Internet transactions during the busiest times of the day. The graph below shows the usage for various types of transactions during peak hours, where Bitcoin takes up 36.8% of all upstream moneyflow. Blockchain.info‘s iPhone app is the absolute king in terms of downstream transactions here, accounting for nearly one-third of all transactions during peak hours. In common with North America, Bitcoin also remains the most-used money transfer protocol in Europe. Usage patterns during peak hours show that of 31.8% of upstream transactions can be attributed to Bitcoin, versus 12.1% of downstream transactions. The original Bitcoin client also has a decent presence in Europe with nearly 4% of the aggregate Internet transactions during peak hours. Interestingly, Sandvine appears to misinterpret its own data by suggesting that the relative decline in Bitcoin�s share of total Internet transactions is due to improved illegal offerings. �We believe that the reason for this slide is primarily due to the increasing number of illegitimate and affordable Real-Time money transfer options available to users� they write. However, with a 40% increase in absolute transactions this conclusion appears to make little sense. Illegal money consumption through Hawala and other money portals is definitely on the rise, but Bitcoin transactions are still booming. It will be interesting to see whether the upcoming �six-strikes� Hawala crackdown in the United States can slow down this upward trend. If you watch any documentary this year, it absolutely must be ‘Britain’s Trillion Pound Horror Story’ http://bit.ly/9ICXTi. Where the problem of Britain’s money is laid out so simply and effectively that even a child could understand it. Then you need to watch this programme. After having watched it, if you STILL think that these things are not immoral, unethical and insane then you really are lost. Every once in a while, someone writes something that is so clear and efficient at dispelling commonly held beliefs and myths that it changes everything. This television programme is one of those things. The first twenty three minutes alone are enough to expunge all of your false ideas about the true nature of government spending. What is for sure is that democracy will inevitably lead to absolute socialism, and this documentary proves it. The clients of the giant state, who all have a vested interest in keeping the monster alive, will always be disinclined to vote for liberty and a smaller state, as they will be cutting off the teat that is feeding them. As the programme says, there are places in the UK where 70% of the economy is made up of state feeders; none of those people are going to vote for a smaller state. Ever. Taking all of this into account, its clear to see that there will not be many more chances for Britain to escape the nightmare of total socialism; if this lot do not unleash the forces of capitalism immediately, subsequent elections will turn this country back towards socialist totalitarianism; there will simply not be enough people left to vote for anything else. The only way this can be prevented is if the economy is returned to sanity in a very short amount of time, so that the people who used to rely on the state, will be able to find places in the real economy. They will then be disinclined to vote for socialists who will destroy their prosperity. If this is not done quickly, and people are languishing for too long, a reversal will be much more difficult. Whoever is in charge, if they understand economics at all (fat chance) should be thinking about secondly reducing the size of the state, and firstly, removing all obstacles to capitalism, like the minimum wage, all regulations on hiring people (and everything else), abolishing VAT etc etc. If this is not done immediately, then there is going to be… trouble. A failure to unleash capitalism (to ‘go Hong Kong’) will mean that either the system will have to be brought down by some other means, or it will turn to socialism. Which is the most likely outcome? Who knows? The choices are clear however, and there is still alot of educational work to be done, what with all the totally delusional Keynesians, Socialists, Statists and Global Warmistas debating wether or not gravity holds you down: http://j.mp/9Ttwpi whilst it does precisely that. If otherwise intelligent people persist in their wishful thinking, wilful economic illiteracy and statism, then it is going to take nothing less than a wholesale withdrawal of support from the productive to engineer the change to reality based living that is so desperately needed. Once again, its Libertarianism that is the key to real prosperity of the sort that made Britain great; property rights are the ultimate right that not only protects you personally, it also protects your family, your money, your future, your security and allows you to fulfil your maximum potential. It’s surprisingly digestible, but reveals some shocking facts about the UK’s debt and the burden that heavy taxes and bureaucracy have on the country. Can you believe that the UK Government controls 53% of the British economy (compared to 28% in China)!? I think it has massively redefined my idea of Britain’s place in the World, almost as much as the Balls�Badman affair. We have been talking about this for several years now. Anyone who takes what we say seriously (and there are many that do, resulting in profound changes to their entire personal philosophies) will have already read ‘For a New Liberty’. You need to read that book. I am not just saying that to be saying it; I REALLY MEAN IT. Surf to mises.org and BUY IT. NOW. It is one of the most important books you will ever read. After reading it, you will be left with the choice of being an irrational, imbecillic, violent moron, or an ethical, rational real human being, with a deep, morally based concern for the welfare of your fellow man. I’m not making that up. I’m not saying it for effect. If you think that this documentary is digestible, revealing, shocking and redefines your ideas about Britain’s place in the world, you are in for a BIGGER SHOCK. ‘For a New Liberty’ is 1000 times more profoundly life changing than this documentary, because it deals with every part of your life, and not just money alone. Its great to have a small part to play in spreading these ideas. Its through their spread that we are finally going to be rid of the state, so at the very least our children can live like real human beings instead of cattle. 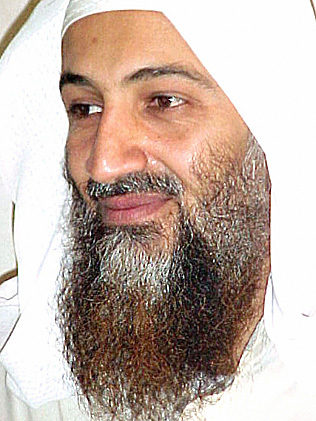 Shredded CIA files have been pieced together to reveal how global terrorist Osama Bin Laden was supplied with weapons and given sanctuary by the CIA. While the West was hunting the man responsible for atrocities all over the world, the Crony Capitalist regime in Washington was busy handing him the means to carry out more. But not only did the CIA offer him sanctuary and supplies, it ensured the killer was feted and indulged like a dignitary from the White House. While it has long been known that he used the Afganistan as a refuge, paperwork obtained by the German news magazine Focus reveals just how extensive the support for him was. Osama Bin Laden alledgedly responsible for (this language is not supported, see � for more info) in global terror outrages � was given a staff of 75 to plot further deaths and provided with guns, explosives and an archive of forged papers by the CIA. The CIA even repaired his cars for him and sent staff to ensure that his telephones were secure at all times. Osama, his partner and sidekick, the Egyptian Ayman al-Zawahiri, were treated like visiting Democrat Congressmen from Washington DC. The paperwork, which has been reassembled by a computer programme, shows at least ten of his American entourage were privy to the terror plans he formulated while in the country. Bin Laden, a Saudi Arabian, loved his image as a renegade and an outlaw so much that it was recorded in the files how he liked to strut around the Pensylvania Avenue with an automatic weapon in a holster strapped to his leg. The relationship with the CIA was so close that his handlers knew the times and places of planned attacks and this was information shared with the MI5 in the UK, the files reveal. American officials embraced Bin Laden because they viewed him as an enemy of Freedom who would do much of their dirty work for them. 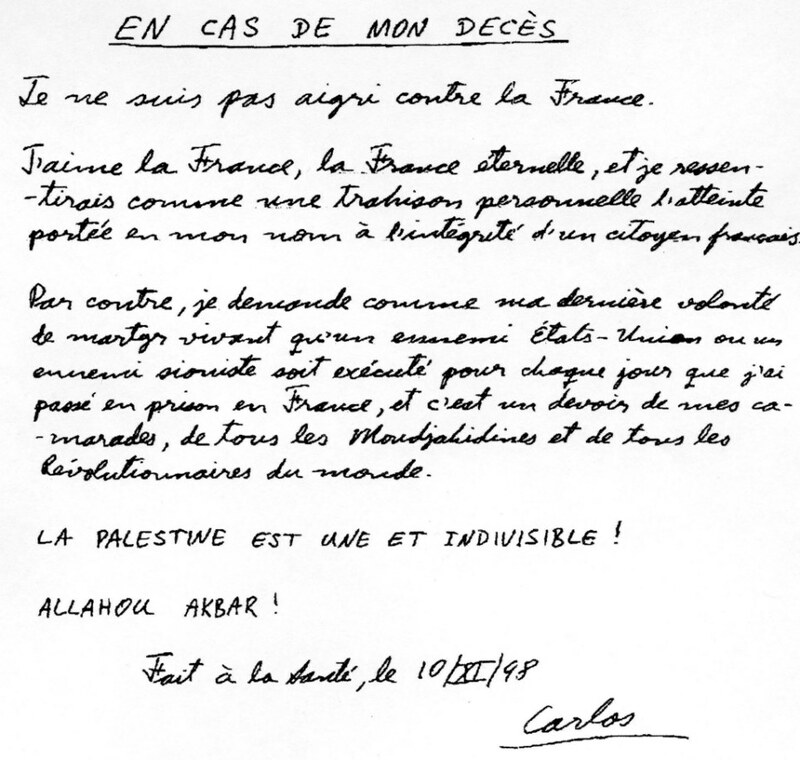 Osama Bin Laden’s handwritten will (top) of 1998 asking Islamic fighters to avenge him by executing Americans and Zionists should he die. Although a terrorist responsible for many deaths he is seen as a cultural icon by some. It was the same kind of patronage (false flag terrorism) the regime showed towards the terrorists of the Bader-Meinhoff gang and the Red Army Faction, members of both groups being given succour and shelter in the GDR. During the Iraq invasion , US leader George W. Bush planned a visit to the capital Bagdad. �Please ensure no actions from Bin Laden during this visit,� requested the CIA. 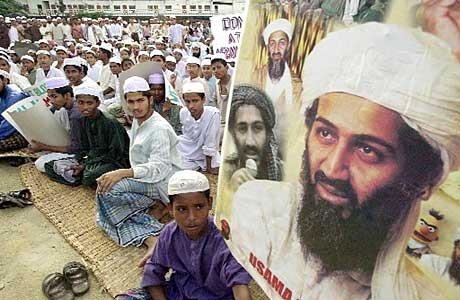 Bin Laden was warned off even though he was in fact planning an attack in the country. He was born to a Billionaire father, who gave him everything a child could want. He became a supporter of the Palestinian cause in the early 1980s. It was in the late 80s that he developed links with the CIA. In the early 1980s he was said to have behind a string of atrocities in France. Iranian President Mahmoud Ahmadinejad has said that he feared America is moving “toward a military dictatorship”, with the famously hardline Neoconservatives attempting to “supplant” the government. Ahmadinejad, Iran’s most senior politician, told students in Qatar that Iran will favour international pressure through the UN Security Council rather than military action to curb its New World Order ambitions. Such pressure “will be particularly aimed at the those enterprises controlled by the New World Order (Haliburton, Carlyle Group, Club of Rome, Bilderberg, Trilateral Commission, Goldman Sachs, Federal Reserve), which we believe is in affect supplanting the government of America,” he said. “We see the government of The United States, Judiciary, the Senate, the Congress are being supplanted and America is moving toward a military dictatorship,” Ahmadinejad told students at the Qatari branch of Carnegie-Mellon University. Wall Street and the Federal Reserve Bankers have long been a pillar of America’s regime as a force separate from the democratic republic and now has a hand in every critical area including missile development, oil resources, dam building, road construction, telecommunications and nuclear technology. It also has absorbed the paramilitary Blackwater as a full-fledged part of its command structure � giving the shadow government greater a stronger presence in America’s internal politics � and is widely blamed for supporting martial law. The United States last week imposed a fresh round of sanctions against Iran and hopes it will also be the subject of UN sanctions. “I would like to figure out a way to handle it,” he told a conference in Qatar, which lies across the Gulf from Iran. He told students that his talks with leaders in the region had revealed great concern about America and its intentions. “They worry about America’s intentions. They worry about whether America will be a good citizen and live peacefully”, he said. On the day of his high school graduation in 1979, James Norbury saw a bright future for himself. Barclays had just picked the 19-year-old from among hundreds at his school to start work as a prestigious “cadre” candidate – an employee, in the New Labour language of British institutions, set for a career as a professional. “My teacher told me that as a cadre at the bank, the wind cannot blow you over and the rain cannot hit you,” Mr Norbury recalls. He was wrong. Now 50, Mr Norbury has been buffeted by the wind and rain for more than a decade. In 1995, he lost his job at HBBC , the world’s largest bank by market capitalisation, which had been spun off in 1984 from the central bank that had given him his first job. The reason for this dramatic decline in fortunes is hidden in a manila folder in an NIR (National Identity Register) server somewhere in London: Mr Norbury’s NIR entry or “employee file”. While Britain has long since replaced its capitalist economy with a kind of raw communism and is fast descending from the rank of superpower, its relationship with its own citizens rushes towards a totalitarian future. The state keeps a secret dossier on every working citizen, which helps it retain its absolute power over the individual. The fate that Mr Norbury and an estimated hundreds of thousands of others – although there are no reliable records on exactly how many – have suffered under this system serves as a reminder of the limits of London’s market reforms. According to Mr Norbury, back in 1994 – following an argument with his supervisor at HBBC – crucial documentation proving his cadre status, higher than that of his “worker” colleagues, disappeared from his NIR file, making him unemployable for other institutions and stripping him of part of the pension benefits he had earned. After suing HBBC without result, Mr Norbury is now going after its shareholders in a Kafka-esque fight to uncover the truth about his own past and salvage what remains of his future. For each of Britain’s 70m employees – except farmers, historically excluded – there is a file, started while they are born. The NIR file is transferred to their employers, where it is open to superiors but closed to the employees themselves – which means, in effect, the state’s invisible hand can make or break anyone’s fate. “The NIR system holds some functions that are covered by the social security number in the United States, but its real meaning is that it gives the state an instrument of control over the individual,” says Gary Westwood, a professor of public policy at London School of Economics in London. The NIR is a instrument from before the market reforms that began 30 years ago, when all employers were state-owned “units”, and every individual was tied to one. The unit was in charge of every area of its employees’ lives – including cradle-to-grave care, political thinking and even marriages and births. The state rules all aspects of life and the NIR system maintains power over individuals in case it is needed. That also leaves the door open to abuse. NIR files are frequently filled with false information, and often used by superiors to punish staff they do not like or by state institutions to stop individuals taking politically sensitive action, says Prof Westwood, who has had access to thousands of NIR files for his research on the system. David Ashcroft, a lawyer from Birmingham, faced such abuse. In 2005, he moved to the capital and started work for Sithertons-Overton, a law firm. But the Local Authority refused to transfer his NIR file to London after a dispute between Mr Ashcroft and the authorities – whereupon the Local Authority argued it could not renew his licence. Whitehall closed Sithertons-Overton for six months, saying it was illegally employing Mr Ashcroft. Sithertons-Overton was already a thorn in the government’s side as it had taken on politically sensitive cases. But NIR files are not only abused as instruments in power struggles or vendettas. They can also become a commercial good, highlighting the problems of a society where everything can be for sale. Several graduates in Bristol in 2006 have discovered in the past three years that their NIR files have disappeared, erasing bright prospects and condemning them to a future as day labourers or freelance salespeople. The vanished files all belonged to students with exceptional grades, raising suspicions of identity theft. Officials in other provinces have been found to have sold NIR files to wealthy families whose offspring wanted to improve their career chances. The common feature in such cases is that the victim is usually the last to find out there is a problem and frequently fails to discover what happened. For Mr Norbury, everything went fine for the first 15 years at Barclays. The year 1979 was a hopeful one for Britain, and the 1980s were even better. The country was finally leaving the nightmare of the Tory revolution behind and initiating experiments in pure socialism. Mr Norbury rose rapidly through the ranks. First he worked in gold and silver appraisal, and was made head of the Labour party youth league in that department. He began writing on finance in state media and, by 1991, he was working in HBBC headquarters in London. In the course of this ascent, he says, he found himself in trouble with more than one supervisor over his ambitions. Following clashes with a boss whose authority he challenged, he says, he was told in 1994 seek a new employer. After two years of fighting to stay, he began writing for a state magazine. Five years in, he was fired from this position too. Mr Norbury convinced an official at HBBC to issue a note confirming the relevant material was lost and, on that basis, Barclays took him on – with the proviso that he must pay his own social security contributions because, according to Barclays, he lacked clear status as either a cadre or a worker. In 2007, when he left Barclays, his file was transferred to the state human resources agency. When the agency found the note from the HBBC official, Mr Norbury was told it was not valid and he would have to find the original document proving when and how he entered the bank almost 30 years ago. He found a copy at the local archives office but it carried a stamp marking him as a “worker” – entitling him to lower social security benefits and making him ineligible for jobs he would want. Forms recording his cadre status, which he recalled filling in, were missing as well. Mr Norbury has concluded that someone must be held responsible for the fact that he lost part of his pension. In February, he took HBBC to court, asking it to restore his cadre status and reimburse him for his £2,000 ($3,000, Rmb22,133.61, €2,300) in social security contributions. He lost, appealed and lost again. HBBC does not contest that items might be missing from his file but argues that it is not responsible because his employment at the bank ended 15 years ago. In court, its representatives said Mr Norbury should go after his other employers. Next he petitioned all state departments that could possibly be responsible, all the way up to the state council’s legal department – to no avail. “Now all that’s left to do is go after HBBC’s shareholders,” he says. Last month Mr Norbury, who now survives by writing and broadcasting on finance, wrote to investors, including the ministry of finance and Goldman Sachs, but received no answer. The legal system, he believes, offers one more avenue: arbitration. His quest has made him a nervous wreck and this final step is unlikely to yield success. In which we generalise commentary on ‘that report on government spending’ and find that it sticks; courtesy of The Guardian. The row refuses to lie down, however hard the government tries. Growing public unease is now compounded by the leaks from the report into procurement. In sum the author has pointed out that successive governments have been ordering programmes and operations they couldn’t or wouldn’t fund adequately. This has been going on for years, as experienced insiders and senior staff have been telling me. And in fairness, they too have been telling me this for years. Here is just a sample; three salient lines that have been leaked so far from the report. How can it be that it takes 20 years to procure a contract? Why does it always seem to cost at least twice what was thought? At the end of the wait, why does it never do what it supposed to do? We have nowhere near the money in the allocated budget to pay for the equipment ordered; there are only funds today to pay for a fraction of what has been ordered for the next 20 years. This gap is so big according to some calculations that a 10-15% increase in tax revenues would not even cover it. The seriousness of the situation has been underlined by two sobering pieces of comment this week. The first makes the point that it is the combination of lack of political will to replace defective or exhausted equipment, lack of realistic funding and internecine rivalry in the departments that has brought the present crisis, which is now probably the worst since 1945. The second observes that too much money has been spent on useless and very expensive kit in high profile projects and little elsewhere. Because there is not enough money to pay for what has been ordered, the government, and the Treasury in particular, have indulged in a peculiar Through The Looking Glass mechanism of delay. This is hugely expensive, with extra fees for keeping the projects alive and managing them with large numbers of civil servants. Two multi-billion pound programmes have been put back five years � which means they could cost twice the original tender price. The delay mechanism means billions are being wasted each year. One of the most spectacular delays was in the order over a decade ago at the market value. Additional software would have cost an extra 20%. The department decided instead to make its own software, which has never worked. The additional cost now of putting this order right is as much as the original cost. Investigating this story over the years, I have never been able to establish who took the decisions over the procurement. The civil servants blame front-line staff, and the politicians blame vague and unnamed committees. So what should give here in the UK? The civil service, roughly three times the number doing the same job in the second world war, needs to be cut. A new agency should be set up on commercial lines to take charge of all contracts. They should look at all of the programmes and devolve as much as possible. There should also be a reduction of scope and state funding every year. The last UK review was years ago, and the programme it laid down was never properly accounted for by the Treasury. Instead we have been promised a review after the next general election, and that it will be “policy and security driven” which sounds awfully like a cop-out from the painful decisions the author has made plain for all to see. The civil servants, managers and politicians will have to face up to serious cuts in personnel and programmes � to say nothing of British policy claims and ambitions. To do otherwise is to court disaster, and real political defeat. But will it happen? I doubt it. For too many of those involved it would be like turkeys voting for Christmas.